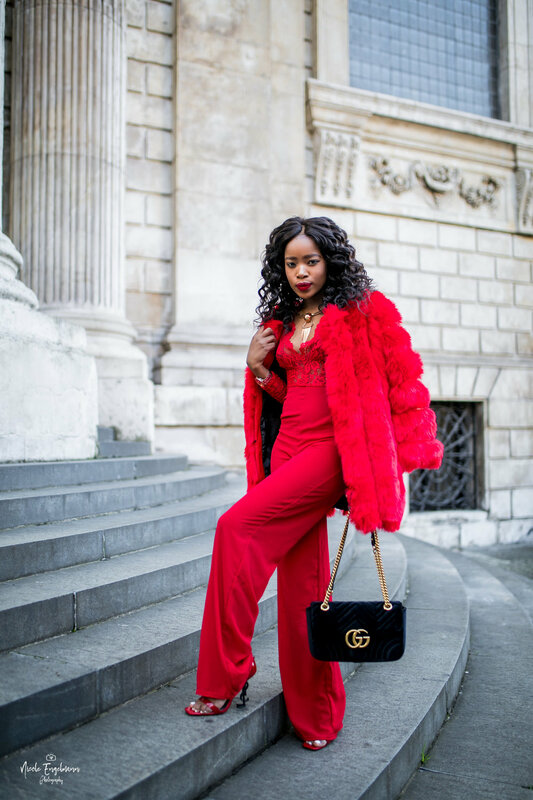 A few months ago I did a shoot with the fab Akhona and Instagram Blogger living in Dublin. 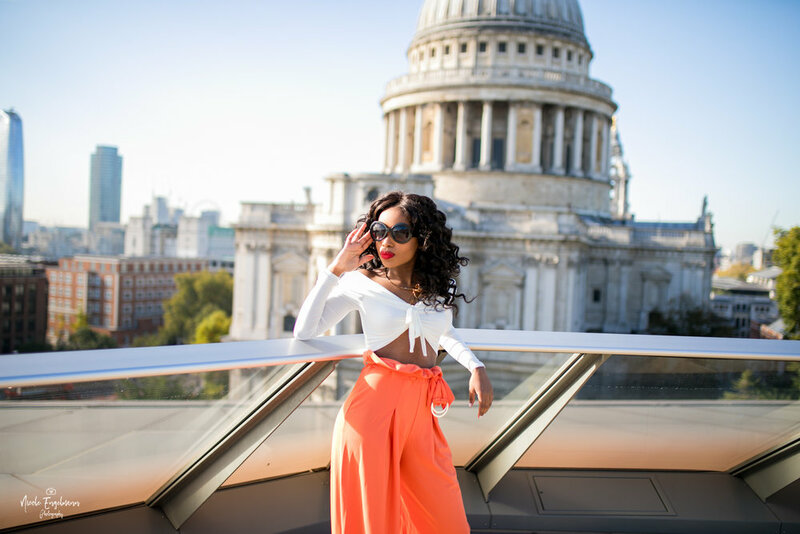 She got in touch to book a photo session with me during one of her many London trips and we decided to do the photoshoot around St. Paul’s. We met up on a Friday morning, catching some winter sun. Her first outfit was a stunning red jumpsuit with a lovely Gucci belt and a matching red (fake) fur coat. It’s fair to say that some heads turned. For the second part Akhona changed into some soft orange flare trousers and a complimenting cream long sleeve wrap top, showing off some skin. We went up a roof terrace opposite St. Paul’s to catch the beautiful view on the cathedral in the photos.